There are different schools of thought concerning the value of emotional intelligence in the workplace. Some people passionately advocate hiring based on this quality, while others believe emotional intelligence pales in comparison to cognitive intelligence and is a concept as light and fluffy as soufflé. Then there are others, who don’t really know what it comprises. So, before questioning whether it really has value, we have to first ask the question: what constitutes emotional intelligence? 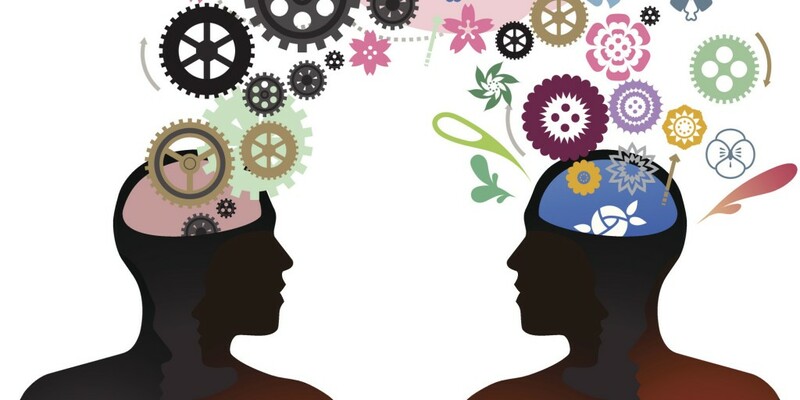 Cooper and Sawaf, the authors of ‘Executive EQ’ describe emotional intelligence as “the ability to sense, understand and effectively apply the power and acumen of emotions as a source for connection, collaboration, influence and inspiration”. Within this second cluster, the aptitudes of listening, maintaining the right level of assertiveness and politeness, and effectively managing conflicts are emphasized as key competencies. But has emotional intelligence contributed to real success within the workplace? And is this even quantifiable? L’Oreal incorporated emotional intelligence competency tests into their hiring process, and the salespeople favoured by this selection criteria sold an average of over $90,000 more than candidates hired by the traditional methods. The former group were also 63% less likely to leave in their first year than the latter (Spencer & Spencer, 1993; Spencer, McClelland, & Kelner, 1997). The firm Egon Zehnder International analysed over 500 senior executives, from Latin America, Germany and Japan, and found that those who were predominantly strong in emotional intelligence were more likely to be successful than those with high IQs or previous work experience relevant to the sector – and this result was the same for all these cultures. Allow time to process feelings and try not to repress or edit them. Try to find associations between your emotional state and similar situations from the past. Listen to the feedback given by your body, e.g. why is your stomach knotted or heart racing in a certain context? This concept has some resonance with the James-Lange theory of emotion, which postures that a physiological change occurs first and then the brain’s interpretation of this bodily response gives rise to an emotional condition. 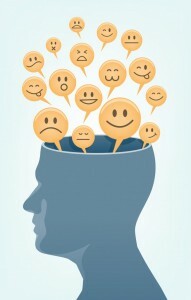 Try asking others what your emotional state is – other people can be very perceptive. Another way to improve would be to practice controlling how you react, so that you can respond with empathy or diplomacy, and not end up snapping or erupting at someone. It is important to remember that, akin to honing cognitive development, developing these skills is something that takes a long time, and everyone has room for improvement. The former involves encouraging the growth or strengthening of new neural connections, with neuroplasticity being the property of the brain which allows this to occur. The latter – emotional development – involves altering the psyche or mind, which is not necessarily more malleable than the physical brain itself. A lack of control and understanding of emotion can manifest itself in an individual’s body as a physiological sign, or in their life as a barrier to success in their relationships, and it is important to harness the power of emotional intelligence in order to be healthy in the workplace and out of it. The idea of being able to modify brain activity using neuroscientific techniques may sound like a frightening prospect. It invokes images of the bleak dystopian futures imagined by science fiction writers, in which scientific advances have been used to oppress humanity, in an attempt to prevent crime, violence or war. There is no ethical leadership in these futures – the concept is an oxymoron. However, this is the stuff of fiction. The reality is much less scary but nevertheless exciting. Progress in neuroscience is allowing us to enhance certain aspects of our personalities, with a technique called neurofeedback. 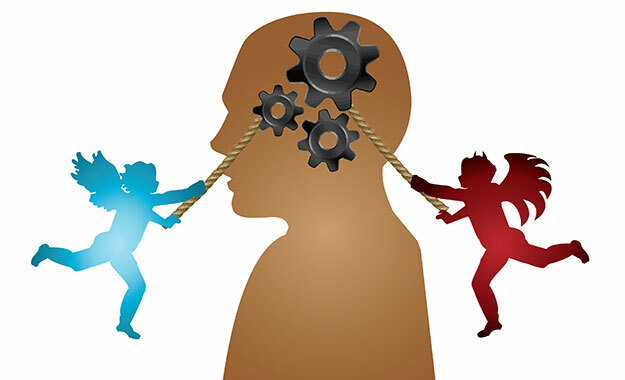 It is not mind control – it is simply a way in which people can self-regulate the activity of their brain – and it has potential for improving leadership. Do we need new ways to encourage ethics in leadership? Linda Klebe Treviňo and Michael Brown, scholars of organisational behaviour and ethics in management, have declared that “a more descriptive and predictive social scientific approach to ethics and leadership has remained underdeveloped and fragmented” (Brown & Trevino, 2006). There have been a number of cases throughout the past decade where ethics have been severely compromised in the corporate world, with one salient example being the 2001 Enron scandal. This revealed that the CEOs of the US energy company Enron had been exploiting their employees by covering up the company’s true financial health. They created subsidiary companies which could show losses whilst allowing the parent company to falsely appear financially sound, thus raising the price of Enron stock. Eventually this led to the company’s collapse, with 20,000 employees losing their jobs. It resulted from the dishonesty of the CEOs and their disregard for the future of both their employees and shareholders, the inattentiveness of the Board of Directors to the nature of the subsidiary companies, and the complicity of the investment banking world. One way to safeguard against similar crises would be to enforce ethics more vigorously via governmental reforms. Another way would be to take an internal approach, integrating ethics into leadership training practices. Luckily, neuroscience and philosophy have recently been brought together to work out what underlies the subjective concept of ethical leadership. A marriage between the sciences and humanities may raise a few cynical eyebrows but it usually gives birth to some interesting new ideas. 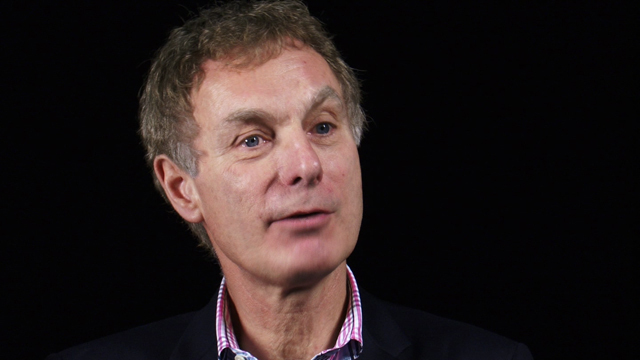 But first things first, how do we define the concept of ethical leadership? The fundamental objective of leaders should be to ensure the long-term stability of their company and the well-being of their employees, avoiding the myopic self-interest displayed by the executives involved in the Enron scandal. For John Buchan, the nineteenth century Scottish novelist and politician, a leader’s task was “not to put greatness into humanity, but to elicit it, for the greatness is already there”. And according to Howard Schultz, the CEO of Starbucks, who won the 2013 Stanley C. Pace Award for Leadership in Ethics, it means appreciating the significance of everyone involved in every stage of the process, from the farmers to the store employees. Perhaps then, acknowledging the contributions of every employee and striving to bring out their good attributes, is the key to successful business ethics. An ethical leader is a grateful and empathetic one, able to connect with employees on an individual basis and value their efforts in the bigger picture of the corporate world. This view is held by the business administration and ethics researchers, Voegtlin and Kaufmann (2012), who highlight empathy as a crucial facet of effective leadership. While it is difficult to map a precise signature of brain activity to certain emotions or capabilities, the areas believed to be implicated in these processes are the rostral anterior cingulate cortex and the anterior insula (Singer et al, 2004). A person uses these for subjectivity and for self-perception – ‘I feel’, ‘I think’. These areas are also important in understanding our own emotional states and those of others. It is not just a matter of which regions are active, but also which coordinate with each other – known technically as coherence. This is a measurement of synchronous activity, and thereby the degree of interconnectedness, of different brain areas. David A. Waldman has studied leaders who are considered inspirational by their employees, and has found that these subjects exhibit high levels of coherence in the right frontal lobe, an area associated with personality, sociality and decision-making. So what can we take from this? It may be overly reductionist to say that there is a universal neural signature for good leadership. However, by identifying traits which are prominent amongst successful leaders, we can try to implement neurofeedback strategies to develop these in people being trained for leadership roles. So how do these neurofeedback strategies work? Neurofeedback is a technique which uses fMRI (functional magnetic resonance imaging) or QEEG (quantitative electroencephalography) technology to measure neural activity in real-time. It then displays the data and allows the user to modify, to some extent, their brain function. Neurofeedback treatment can be carried out in different ways, but a common method employed is where the patient mentally plays a specially designed video game while electrodes attached to their scalp transmit information to a computer. Positive brain activity in the user is reflected in their being successful in the video game, for example having better control over speed and direction. The brain self-corrects based on the feedback supplied and this is a subconscious process. The user does not have to consciously try to alter their neural activity, as their brain is doing the work for them – absorbing the information and automatically adjusting. Positive reinforcement is a term usually applied to the discipline of psychology, but now it is stretching into the realm of neuroscience. Neurofeedback is essentially behavioural modification at an electrophysiological level. So what exactly is changing in the brain during neurofeedback? The concept of altering brain function is quite vague. To be more specific, it is the patterns of neural discharge emitted from the brain which are being altered. The number of each type of wave varies in each pattern, and different patterns correspond to different mental states. For instance, when we say we have a high amount of beta activity, this means that brainwaves at a frequency in the range of 12-27Hz (Hertz, or cycles per second) predominate. This occurs when an individual is awake and alert. The ideal brainwave frequency of a person engaging in neurofeedback will depend on the type of disorder being treated; perhaps the person wants to reduce their anxiety or improve their concentration. The latter is the main goal in combating ADD (Attention Deficit Disorder) and this is usually achieved by decreasing the number of theta waves and increasing the number of beta waves, resulting in the patient being more alert and able to concentrate better. A quick search on neurofeedback on the internet yields many scientific papers extolling the virtues of the therapy for increasing cognitive performance. It has shown promise in the medical world, for the treatment of conditions such as depression, addiction, insomnia and even epilepsy. Neurofeedback is also now being incorporated into training to help musicians, athletes and businesspeople exert more control over their brain activity. For the latter group, the technique increases concentration and the ability to keep calm in stressful situations, highly useful attributes for all leaders in business. Furthermore, it has been implemented in couples therapy in order to strengthen communication and empathy between partners. With this in mind, neurofeedback seems like an ideal training exercise for promoting better leadership. The Leipzig Graduate School of Management seems to think so, having incorporated neurocoaching sessions into their Global Executive MBA programme. Steven Poelmans, one of the lecturers, believes that neurofeedback really can give us a good insight into our professional strengths and weaknesses, as “the most constructive feedback is the feedback we give ourselves…(and) the more developed our inner observer is, the better managers we make”. But can the brain really be changed? Well, it is important to note that our genetics do not have a monopoly over this powerful organ; it is highly susceptible to environmental feedback and even the adult brain retains a surprising degree of plasticity. Neuroplasticity is important for memory storage, recovery after brain injury, and learning new skills, amongst many other processes. Evidence for this can be seen in the application of neurofeedback practices for people with neurological and psychological deficits. It has been shown to increase emotional connection in children who have been subjected to neglect during critical developmental periods and also in autistic individuals. These improvements in empathy, as well as focus and creativity, pave the way to greater emotional and innovative intelligence, respectively. It is certainly exciting that we are living in a time where it is possible to visually depict the electrical activity correlating with certain mental processes, and use this to change the way we relate to and connect with other minds. What does the future hold for neurofeedback? While neurofeedback can help us to exert some degree of emotional self-regulation, it cannot be used to dictate our thoughts or give us a specific personality – which is of course a good thing. Simply put, it can be used to enhance desirable characteristics in individuals – drive, empathy, level-headedness – thereby allowing them to become better leaders. As Buchan would say, the good qualities are already there, they just need to be coaxed out. The word ‘viral’ has connotations of aggression and invasiveness. Drop it into the context of marketing, however, and it is instead a potent means of spreading a company’s message and engaging customers. Wilson (2000) has described viral marketing as “any strategy that encourages individuals to pass on a marketing message to others, creating the potential for exponential growth in the message’s exposure and influence”. Knight (1999) has made the far less poetic analogy of a “digitalised sneeze”. Cultural evolution theories provide an interesting perspective. Social media posts can be viewed as memes, a term coined by the evolutionary theorist Richard Dawkins to refer to “a unit of cultural transmission, or a unit of imitation”. A successful meme is an element of culture which self-replicates; it propagates itself from one mind to another, out-competing other ideas and remaining intact (not subject to distortion by Chinese whispers!) Once seeded online, the message can propagate itself via re-tweets, post-sharing and email-forwarding. It can replicate itself exponentially, creating a kind of social contagion. The message is the virus and the mind is its host. However, while planting a seed can lead to the growth of something great, it can just as easily be fruitless; the message can falter and fail – a social media non-starter. Social media platforms such as Twitter are ideal environments for this; a single tweet can be re-tweeted quickly, can reach a huge number of people simultaneously and, as it is basically copy-and-pasted, the original message stays the same. Certain memes are more effective than others. What kind of content thrives in the world of online marketing? There are many different factors to consider. High-energy emotions such as anger, happiness and awe are more likely to be shared than low-energy ones, such as sadness. For The Flash Pack, a company specialising in organising small group and bespoke travel, a rather interesting image was the cornerstone of their success – with relevance, humour and positive emotions all playing their part. Their ‘First ever selfie with Jesus’ viral campaign featured travel blogger and photographer Lee Thompson climbing inside Rio de Janeiro’s Christ the Redeemer statue and then taking a picture at the top. The photos were posted on Instagram three weeks later, to coincide with the beginning of the FIFA World Cup in Brazil. The post went viral during the World Cup and 1.4 million hits were received by the company’s website in just four days. Thompson describes this as a “priceless marketing campaign”, as it cost nothing to do but resulted in a huge success. There were about one million hits on their website in six days, the photo has been shared around 50 million times on Facebook and Twitter, and the video received 900,000 hits on Youtube. Burger King struck gold when they launched their ‘Subservient Chicken’ campaign, which included a website appearing as an interactive webcam. The site enabled people to ‘control’ a man in a chicken costume, using pre-recorded footage of him carrying out actions such as push-ups, moonwalking and laying eggs. It embodied the idea that customers of Burger King can have their chicken any way they like it – “Have it your way” – and to promote the new TenderCrisp sandwich. Within a week, the site received 20 million hits and a month after the debut of their new product, the fast food franchise reported that sales had steadily increased by around 9% each week. Although a causal link between the marketing and sales cannot be established, it is likely that the campaign improved the brand’s identity, associating them with humour and fun, and increased awareness for the new product. Another, more common example of brand-consumer interactivity is the use of quizzes. These are popular when it comes to shared posts. Many brands use these to engage customers and update them about new products; for example, Food52 regularly posts quizzes such as ‘Which cake are you?’ and ‘Find out your spirit sandwich’. Just three days after posting their cake quiz on Twitter, it had been viewed over 20,000 times, leading to a great deal of brand exposure and customer engagement. People like posts which identify themselves and let others know what they are like. If it makes them look good, then it appeals to the narcissistic side of sharers, as does the sharing of content which makes a person seem intelligent, thoughtful or successful. Posting images is another way to appeal to customers and increase the number of shares. BuzzSumo’s analysis of 100 million articles identified many factors associated with more success – that is, the more times the articles were shared online. They found that having at least one image in a post results in more shares for both Twitter and Facebook content. BuzzSumo also found that lists are commonly shared posts, with those containing the number 10 to be the most popular, and those containing the number 23 to be the second most popular. Articles including the word ‘actually’ in their titles are shared more than similar articles without this word – for example, ‘Which career should you actually have?’ is more successful than ‘Which career should you have?’ Quotes are also commonly re-tweeted, more so than questions; this is also thought to appeal to the egocentricism of sharers – posting quotes can make people seem knowledgeable, profound and thoughtful. Visuals may be important but, on Twitter, text is re-tweeted more often than images or videos; for Twitter users, at least, it seems that a picture is not worth a thousand words. The best day to publish social media content appears to be a Tuesday. Facebook and Twitter show the most activity during the daytime, while Pinterest is more popular in the evening. An excellent case study of how incentives can lead to increased sharing is the Bird’s Eye pay-by-picture restaurant. The company launched a pop-up restaurant in which diners could try their new chicken and fish products and then settle the bill by uploading a picture of their meal to Instagram. It was highly successful for exposing people to the products on offer, directly through the incentives and sharing, and indirectly through the media attention given to the campaign. Blendtec’s ‘Will it blend?’ videos are a perfect example of how to draw attention to a product and showcase its benefits, while also adding in some humour. The series showed scientists testing how different household items can be blended, exhibiting the effectiveness, strength and durability of the product. Berger and Milkman also found that ‘practical utility’ was a more pertinent factor than ‘interest’ concerning sharing articles. These are just a few things to consider. The German writer and politician Johann Wolfgang von Goethe observed, ideas are “like chessmen moved forward; they may be beaten, but they may start a winning game”. Let’s hope these tips can help you start a winning game. A few days ago the most recent findings of the Edelman Trust Barometer Survey were revealed. The survey was executed by research firm Edelman Berland and sampled 27,000 general population respondents with an oversample of 6,000 informed publics ages 25-64 across 27 markets. The main focus was dedicated to the government, business and media sectors. The UK is drifting in the ‘trust doldrums’, with trust in government, business and media flatlining. Trust in the UK media has stagnated, as people blame publications for the media mishaps of 2014, which were rooted in commercial interests being prioritised over public interests. The results of the survey of Edelman Trust Barometer reveal that British public mainly don’t trust the media. This trust registered at 38% this year, which is 4% less than 2014. It shows that the trust society has in the media is very poor and becoming worse. The statistics of the Edelman Trust Barometer show us that the trust the British public has in the government has slightly increased this year – 43% a 1% increase from the previuos year. 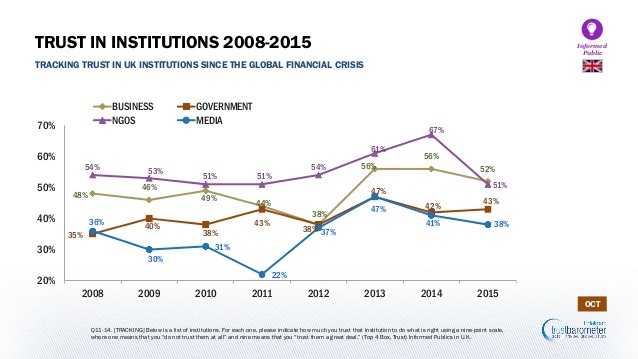 This data reveals that increases in distrust in business, government, NGOs and media coincided with the period of financial crisis. We may assume that, from 2012 year, trust in all of these organizations started slowly increasing. However the statistics of the Edelman Trust Barometer for this year are surprising. Perhaps these results show us that the media was too strongly trusted prior to the financial crisis. During this time, people all over the world realised that they couldn’t find all the answers in the information presented by the media. One point could be that society has started to question the merchantability of the media and the reliability of the sources of information. An example could be “promotional articles”. The companies try to find the best way how to promote their services or products in the newspapers and other media channels. The main problem with these “promotional articles” is that they are generally prepared by unidentified advertisers, with no mention of the author or sources of information. This doesn‘t help in conveying a message of authenticity and reliability to readers. The companies which are using “promotional articles” as a means of communicating their brand‘s message and informing the public about their product, do so in order that readers may be persuaded to buy what they are offering. The public want to see a border between journalism and advertisiment as now it is very difficult to see information in the media which is unadulterated by the interests of the government, certain companies or individuals. 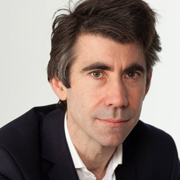 The media theorist and academic Hugo de Burgh is keeping the position that the digitalization and commercialisation has the strongest and most damaging impact on journalism. He claims that today the media aims not only to maintain the attention of the readers, but also present events in such a way as to compete with advertising. Journalist Kate Magee has said that some of reasons for the British distrust in the media lie in scandals such as the phone-hacking incident in 2011 and the Jimmy Savile sexual abuse scandal in 2012. As the journalist K. Magee mentioned, more than 60% of respondents in 2014 said that their trust in the media is lower than for the other sectors due to immoral behaviour (38%) and a lack of regulation (23%). The second factor also has an influence on ethics. People are increasingly noticing the lack of truthfulness, accuracy, objectivity and impartiality in the media channels such as newspapers or TV. These are considered to be the ethical standards and principles of Journalism. This survey of the Edelman Trust Barometer potently exemplifies that the public consistently follow events and don’t miss or forgive the mistakes of the media. Each negative error has a strong effect on future public trust in the media. Patient, I have some news for you – good and bad. Which do you want to hear first? You see, I am a journalist! This anecdote assumes that this is the reality of journalism now. Journalists want to show and inform us about the bad news, because it‘s said that good news is not as interesting for people as bad news is. The media lends great attention to the topics related to death, violence, acts of terrorism, war, natural disasters. Ethics is sometimes absent from decisions concerning how to show these news stories to the general public. Often, the media intends to shock or cause controversy with the features it shows. 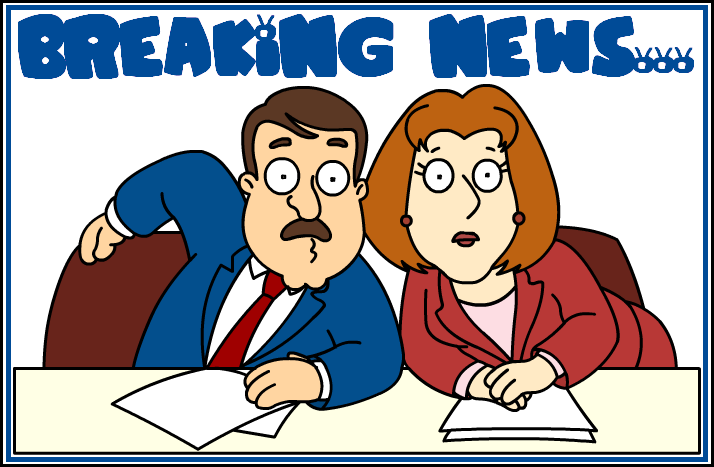 Let’s look at an example – the very popular TV serial “Family Guy”. Every scene includes black humour with shocking, satirical content. An important part of this is devoted to the TV news, with the anchors Tom Tucker and Diane Simmons only presenting negative or unbelievable news. The authors of “Family Guy” have made an effort to show that the media is not just showing too much populist, cheap information, but also that it focuses attention to news which is controversial. 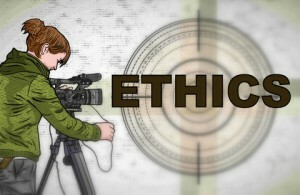 This TV show implies that journalists don’t care about ethics. In reality, the majority of journalists confront ethical dilemmas in their jobs; theoretically it is easy to comply with the rules of ethics, but it’s more complex in practice. Amongst communities of professional journalists, there is an ongoing debate about the need for ethical practice, but it is still difficult to find actionable solutions to ethical issues. One of the dilemmas facing journalists is freedom of speech. Quite often, there is arguably a fine line between morality and immorality when it comes to telling the truth. Today, one of the most important things to do is look around and see what the Media looks like without “borders“. The main objective for creating the news remains the same – it’s purpose is not just to be informative, but also to have emotional impact on people. Another ethical issue mentioned by the media professional is social media. 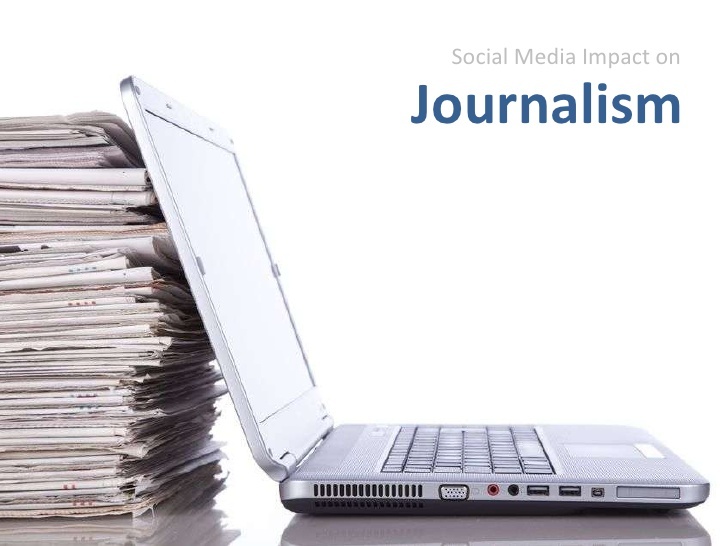 Social networks are progressively having a greater impact on journalists, as now these channels are used extensively for finding materials. We can see that journalists actively use social media channels, like Twitter, Facebook, LinkedIn etc., as these platforms help them to learn more quickly about events from different countries. On the one hand, it is very good that traditional media such as TV, newspapers and radio actively use the virtual information space, as it allows for quick transmission of news and an easy way to source stories. But what about the authenticity of this information? Often the views shown to us via TV or social media channels are very unethical. Social media allows for journalists to find great stories more quickly, but here begins one of the problems – the majority of journalists don’t stop to research events more thoroughly and they don’t conduct a proper analysis. Journalists “catch” short news from Twitter or other social media platforms and then rush to report this. Reporters try to find some people who can provide them general information, so they do an interview and write a small amount of text, with most of the feature devoted to a video, which clearly has to be memorable. Often journalists forget about rules or disciplines of ethics, because they’re focused on the search for the “best” news. All of Europe are still reeling from the terrorist attacks in France. A lot of media channels have spoken about them in the French satirical weekly magazine “Charlie Hebdo”. But the main information was provided in the form of primary sources, with video footage. For example, engineer Jordi Mir posted a short video on Facebook, which recorded the cold-blooded murder of a Parisian policeman by a terrorist in the street. The news agency “The Associated Press” published this footage as proof of the horrific event. This short video has become the most shocking depiction of the French three-day drama that began the mass slaughter and ended in the deaths of four hostages and three terrorists. This video has caused worldwide outrage. British tabloids called it “shocking” and “a cause of disgust”. This story is an example of social media ethics today, with people trying to “catch” everything which is unusual, unbelievable or shocking and then sharing this with others users of social networks, either as evidence or just for the sake of novelty. Later they may regret sharing this content. As engineer Jordi Mir explained, it was his ten years of experience using social media which gave him the habit of sharing everything he saw. And he is not the only person who is like this – a lot of people use social networks to share everything that is happening to them. They are a virtual second life for many people. Unfortunately, journalists actively follows social networks too and sometimes it doesn’t care whether newsworthy videos or images were acquired ethically. If they concern important events and attract attention, they will be showed openly in order to provide viewers with the facts. Perhaps, we can’t solely blame the media for every slip in ethics, because she shows the reality of the world in which we all live these days.